Before the Indian government liberalized the economy in 1991, the success of businesses in India depended mostly on government contacts, licenses, bureaucracy and ambition. Today, the competitive landscape is much more diverse, with family businesses having to compete with MNCs for better technology, better finance, and better managerial resources. What didn’t change, however, was the passion for entrepreneurship, and the trend of homegrown businesses continues to this day. Today, there is ample opportunity and scope for investors and entrepreneurs to grow in India, as is evident with the increasing number of SMEs in the country. The SME business opportunity in India can be seen in possibly every sector – financial services, telecom, education, automobiles, media, food, real estate and so on. They play a central role in the Indian economy as they are a major source of entrepreneurial skills, innovation and employment. 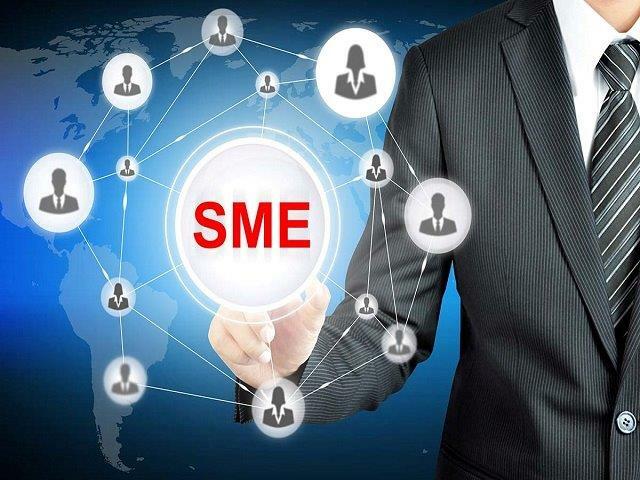 SME businesses are the biggest contributor to the economy of any country and the same goes with India. After agriculture, small business in India is the second largest employer of human resources. Also, in recent years, this sector has been weaving some of the most inspiring business success stories. In fact, MSMEs were found to account for 46% of the industrial production and 95% of the total industrial units. But as with any industry, the SME sector too is grappling with its own set of challenges. While increased purchasing power and consumerism are driving the SME market, limited access to capital is keeping it from achieving its full potential. While the secured lending program is often used as the route to fund the early stages of a business, raising capital for running the business is a far more difficult challenge. Most entrepreneurs have only one property that they can mortgage to raise capital to start a business (plant & machinery/ factory or in the case of services, infrastructure and people). Once this is pledged to the bank or other financial institutions, they don’t have any other security to raise funds for working capital. Unsecured loans therefore become a necessary evil for survival. From inefficacy of measures in credit flows (such as credit scoring for SMEs) to information asymmetry faced by banks and financial institutions, there are plentiful challenges that have impacted the contribution and performance of small and medium enterprises in the Indian economy. More than 80% MSME entrepreneurs are forced to resort to other unorganized avenues of financing to obtain credit assistance. With the recent implementation of GST, SMEs are being forced to operate in a formal business ecosystem, which will help to create digital trails for them. This, along with digital filing of taxes, will create useful data, which will allow new-age Fintech lenders to accurately assess the SMEs on criteria such as sales trajectory, income sources, inventory sold, credit cycles, etc. They will thus be able to use proprietary algorithms to evaluate the creditworthiness of SMEs. Fintech companies can also aid banks to achieve their SME lending targets without incurring high operating costs, as the cost of underwriting certain SME segments can be significantly high. Moreover, fintech experts can help banks overcome the massive credit gap in the market and diversify their loan books by adding different types of SMEs to their client base. We are also currently seeing an upward trend in P2P or peer-to-peer lending in India. In fact, according to reports by KPMG and NASSCOM, the P2P lending landscape in India is poised to grow into a $4 Bn-$5 Bn industry by 2023. Last year, during the demonetization drive in India, many SMEs were forced to seek other methods of financing and as many as 34% of P2P borrowers were actually found to be business owners looking to expand without having to rely on banks. The demonetization drive has given a boost to the already growing trend of alternative fintech lending models such as micro-lending, short-term payday loans, crowdfunding, and social lending. While digital lending platforms capitalise on technology to create solutions that simplify risk evaluation and credit disbursement for potential borrowers, it is imperative that the experience is built in a manner that addresses the critical aspect of trust in the entire loan application process. The focus of the entire product design of digital lending platforms and fintech startups, therefore, needs to shift from being transactional towards being interaction led, to help SMEs become more engaged and less anxious. This can significantly bridge the funding gap that sectors such as SMEs struggle with today. Fintech players are not only focusing on digitizing the transaction flow but also helping the businesses to receive and send money while sitting in their comfort and with a click.